Affordable Luxury Cruise Experience – Become a Travel Agent with Prestige Travel Systems – The Original Host! 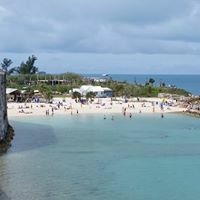 The words affordable and luxury rarely go hand-in-hand but we recently experienced one such instance in our travels to Bermuda from Miami while on board MSC Cruises MS Divina. During our 7-night stay in the MSC Yacht Club, an exclusive sanctuary of refinement, we were pampered and catered to by attentive private butlers with white glove service and waist coat attire. Although our beautifully designed and comfortable balcony Yacht Club stateroom was not much larger than a standard contemporary cruise line balcony stateroom, we thoroughly appreciated the well-appointed marble bathroom, the memory foam mattress and Egyptian cotton sheets, the welcome basket of fresh fruit and bubbly, and chilled Champagne. But, it was not all about the stateroom and butler! When we arrived at the busy and often hectic Port of Miami we were immediately escorted to a private, tented area and were greeted by a Senior Butler who checked us in and made sure our luggage was sent on board ahead of us. After he personally brought us into the cruise terminal and we passed through security, we received our stateroom key cards and were provided with a private room where we could relax with mimosas and refreshments while waiting for customs to clear the ship. During this time we had a great time meeting fellow Yacht Club guests, many who had been in the Yacht club multiple times and who “just keep coming back – because we love it so”! Once on board the lovely MS Divina, we were escorted to our Private Concierge Reception where we met our own private butler and his assistant, the dining room Maitre’D to discuss and plan our dining preferences, and given a tour of new ‘home away from home’ for the next 8 days. At this point we knew the Yacht Club experience would be a ‘cruise within a cruise’! MSC Yacht Club has dedicated an impressive amount of space on the ship so we would have exclusive access to the Top Sail lounge offering complimentary cocktails, wine and beer throughout the cruise as well as tempting desserts, afternoon tea and tasty midnight snacks. During our cruise we developed a tradition of pre-dinner drinks and appetizers together and loved this relaxing time! For breakfast, we liked heading up one deck to our exclusive pool deck. Not just continental breakfast, mind you, we had our choice of light fruit, eggs & breakfast meats or the European way – freshly baked hard rolls with salami or prosciutto with a selection of cheeses. Lighter fare lunch was also served in our private pool area (complete with bar, or course). We noticed that many of the Yacht Club members never ventured out to dine around the ship, but we must confess that we became addicted to the best pizza on the high seas so we would also visit the casual Calumet Buffet to feed that addiction! the private dining room will be located IN the Yacht Club venue. As our 8 day/7 night cruise came to an end, it was so very fitting that we were personally escorted by our butler, Jacques, off of the MSC Divina through a private area away from the departing crowds. A delightful experience and we shall return! Look for future blog posts regarding our insights from our enchanting Bermuda visit and also more on the beautiful vessel, the MSC Divina.